KGAMOA is inviting to attend the EC meeting, to……..
3. Special invitees by State KGAMOA. 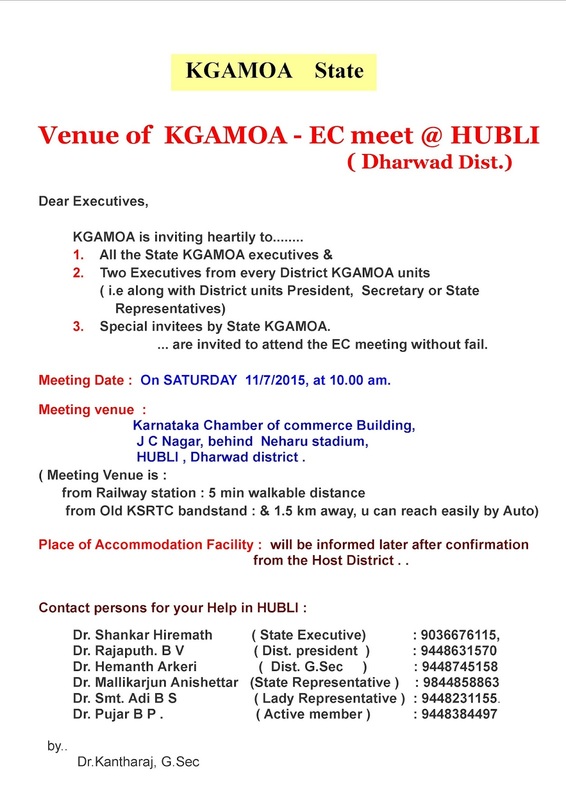 Meeting Date: On SATURDAY 11/7/2015, at 10.00 am. HUBLI , Dharwad district . from Host District with in today evening . Dr.Smt. Adi B S ( Lady Representative ) : 9448231155.